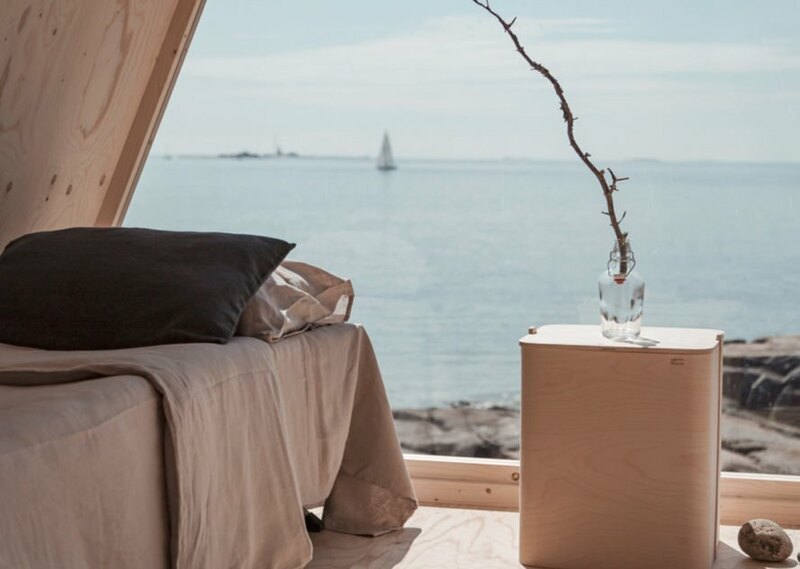 A beautiful A-frame cabin has popped up on the remote Finnish island of Vallisaari to serve as an “ecological alternative to cabin life.” Imagined by Finland-based designer Robin Falck, Nolla is a beautiful cabin retreat that was built using sustainable materials and designed to leave minimal impact on the environment. Nolla (which means “zero” in Finnish) is located on the island of Vallisaari, just a 20-minute ferry ride from Helsinki. Carefully constructed for zero emissions, this A-frame cabin stands just 13 feet tall, lifted off the landscape by multiple supports so that it leaves little-to-no impact on the pristine landscape. 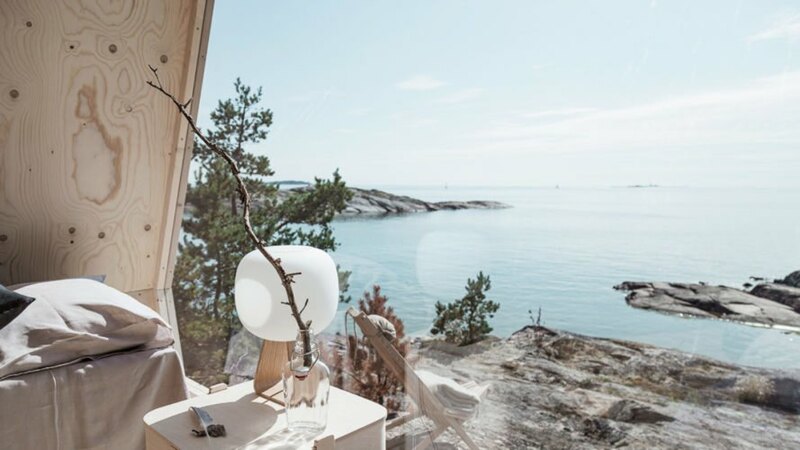 The minimalist design was inspired by the need to provide an off-grid retreat that lets guests truly connect with nature. An all-glass wall floods the interior with natural light and provides stunning views of the surrounding landscape. 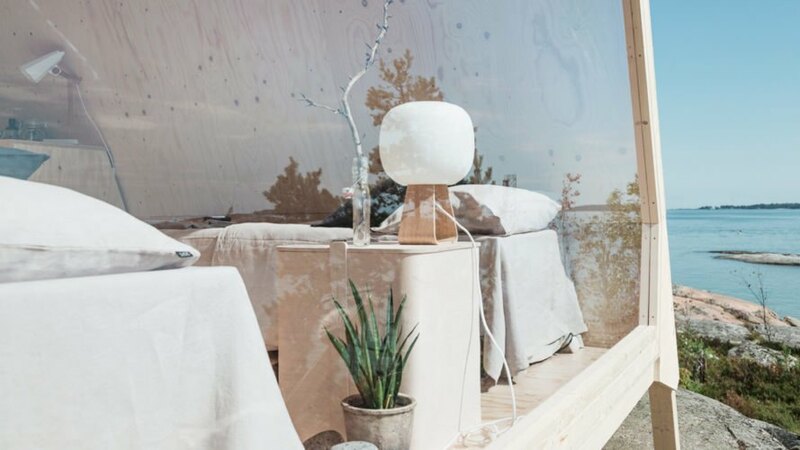 The interior of the cabin is modern with furnishings from the Stockmann Sustainable Collection, which specializes in eco-friendly products. The cabin’s energy needs are met by solar power. Guests can cook on a Wallas stove, which runs entirely on Neste MY Renewable Diesel that is made entirely from waste and residue. Guests can rest assured that their voyage to the cabin is also sustainable, because the ferry that travels to the island runs on the same eco-friendly diesel, which reportedly reduces greenhouse gas emissions by up to 90 percent. 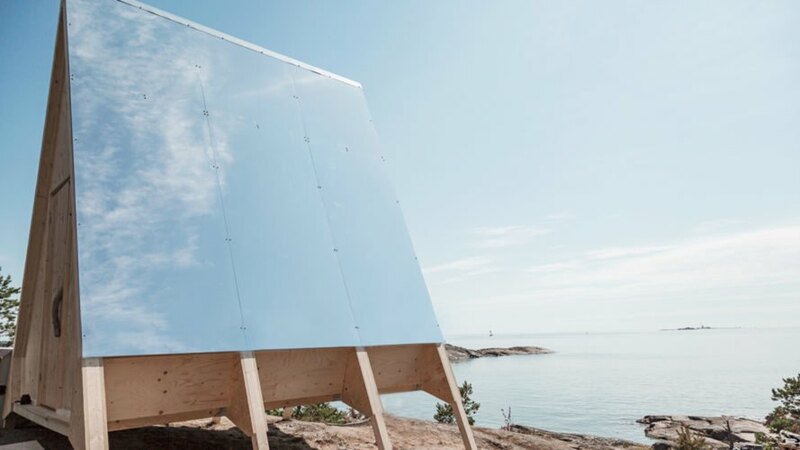 Nolla, which will be on the island until the end of September, is part of Neste’s Journey to Zero project. Neste has collaborated with notable eco-concious companies to design and promote the cabin’s eco-message. 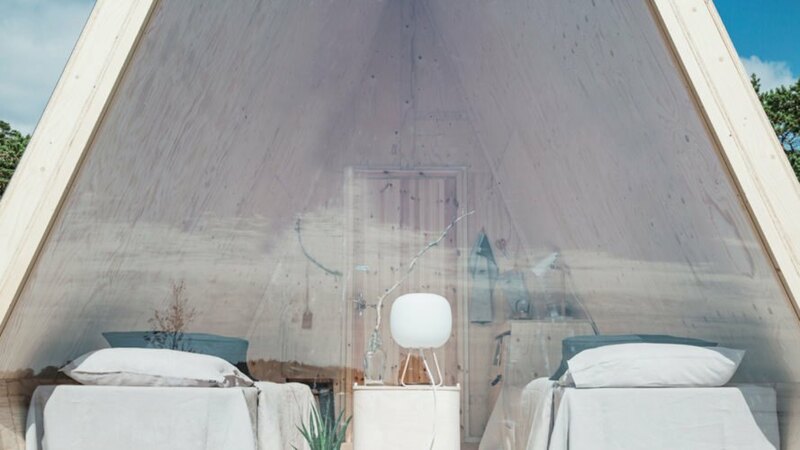 The first guests to visit the eco-retreat will be hosted by Finnish zero waste influencer Otso Sillanaukee, a specialist on sustainable everyday living. 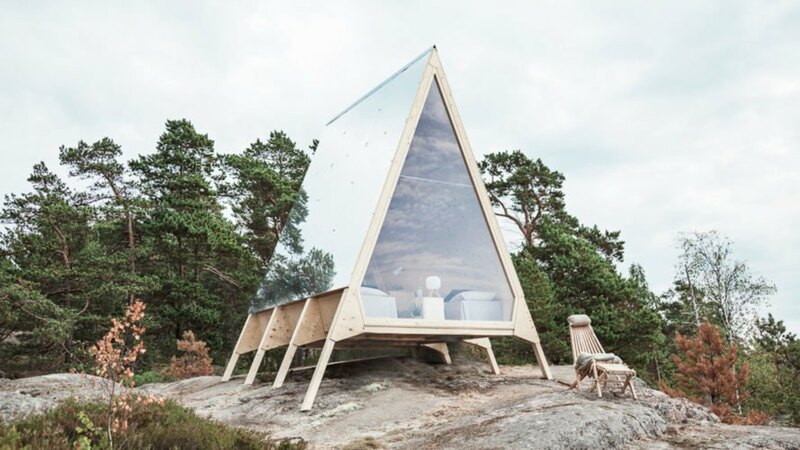 The Nolla Cabin was designed by Robin Falck. 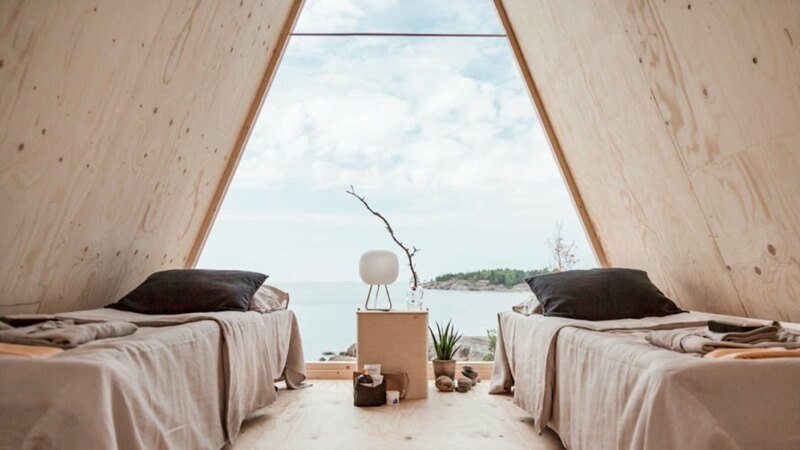 The A-frame cabin is an eco-friendly design. The cabin runs on solar energy. The cabin was designed to provide an eco-alternative to contemporary travel. The cabin's all-glass facade provides stunning views. The furnishings inside the cabin are part of a sustainable furniture collection. The cabin runs completely on solar power. The cabin is located on the remote island of Vallisaari. The cabin will be on the island until the end of September.